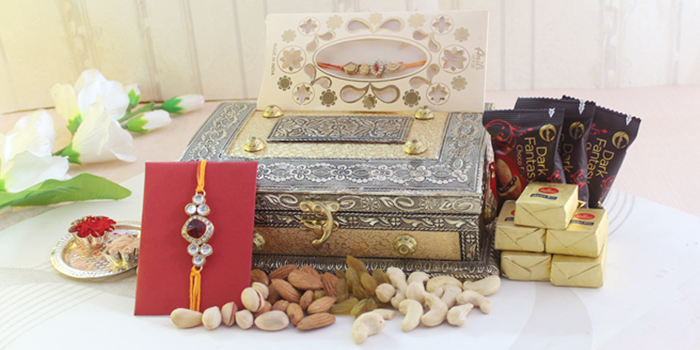 Raksha Bandhan holds immense significance for brothers and sisters in India and so does Rakhi Gifts. Every year siblings scratch their heads for that bright and brilliant Rakhi Gift Idea. To make that tedious process a bit easy we are presenting some innovative Rakhi Gift Ideas for brothers and amazingly delightful gift ideas for sisters. Some practical tips on Rakhi Gift selection has also been included in the text to help you choose the most perfect and memorable Rakhi Gift for your sibling. Keep in mind the choice of your siblings. For example consider his / her hobbies and areas of interest. Think if there is anything your sibling has been planning to buy for a long time but has not managed to purchase it on his / her own. If yes, then surprise by making his / her wish come true sooner than expected. Ensure the gift is of good quality and trendy at the same time. This aspect holds a lot more importance in Raksha Bandhan as siblings attach a lot of emotions to Rakhi Gifts. For them Rakhi Gift is not just any other gift but a reflection of their siblings feelings for them. Don't go over and above your budget. Remember your feelings behind the gift are more important than the digits written on the gift tag. So restrict to your budget. For big brothers an executive Shirt will be good Rakhi gift idea. You can select the shirt - plain, stripes or checks according to the taste of brother. Colour of the shirt too must be decided on the basis of your brother's choice not yours. Organisors, portfolio bags, designer pens, ties and cuff links are other ideas you can try. If your brother is married you can go in for household gifts like nice paintings, some crockery items or traditional Raksha Bandhan Gifts like box of sweets, dry fruits or chocolates. Pamper your kid brother with some games or games CDs. Or how about toys like cars or those representing their favourite cartoon characters. Chocolates, candies and other confectionery items will be relished by them.